Panasonic KX-TA824 Hybrid System Controller with Caller ID. Configured 3x8, with 3 Line Caller I.D. 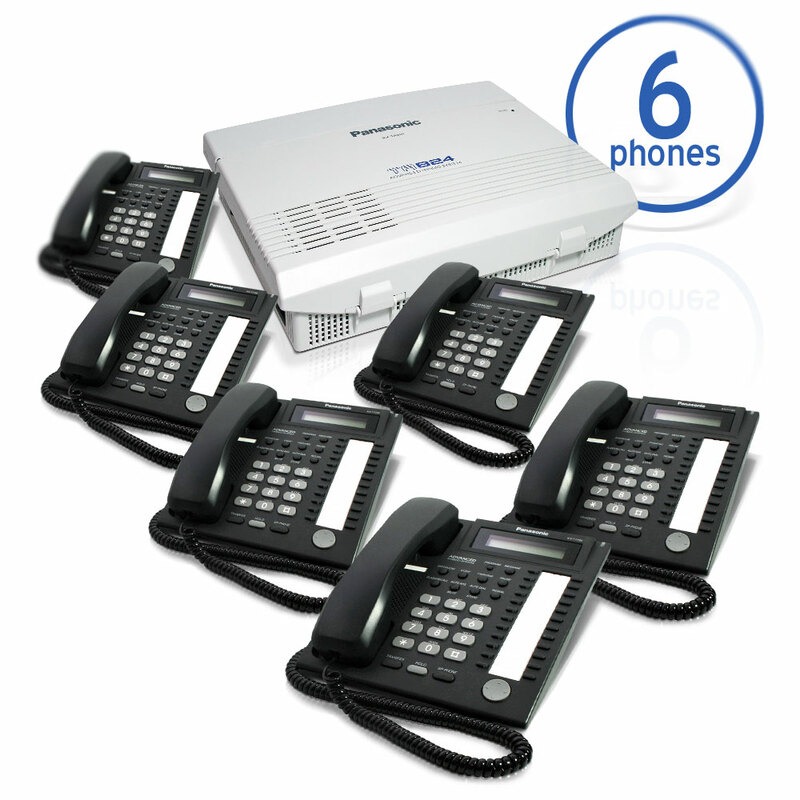 card and Includes (6) KX-T7731 LCD Telephones in Charcoal Black. All Equipment is New In-Box. Due to the specialized nature of this product and manufacturer requirements, returns will be subject to a 10% restock fee. KX-TA824-PK6 No Thanks - I don't need help. No Thanks - I don't need help. Panasonic Pricing is Subject to Change At Any Time Without Notice.